Contact lens’ has become a part and parcel of every day life. From stalwarts of the film industry to celebrated medical practitioners, contact lens is used by people in every profession. These lenses have a plethora of functions including correction of vision, making the eye look vibrant, protection from harmful rays among a host of other positives. 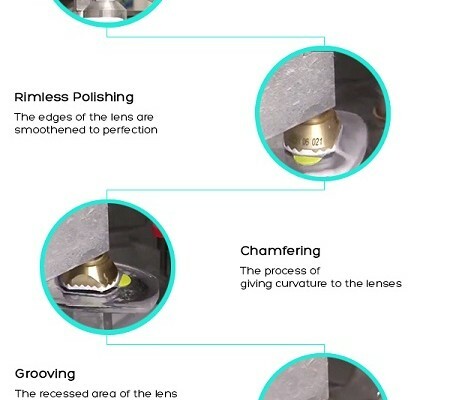 So, what are the pros and cons of contact lenses? Contact lenses move with your eye, allowing a natural field of view, have no frames to obstruct your vision and greatly reduce distortions. A huge variety of lens is available to cater to the need of every individual. They provide predictable vision correction. Better side vision than glasses. 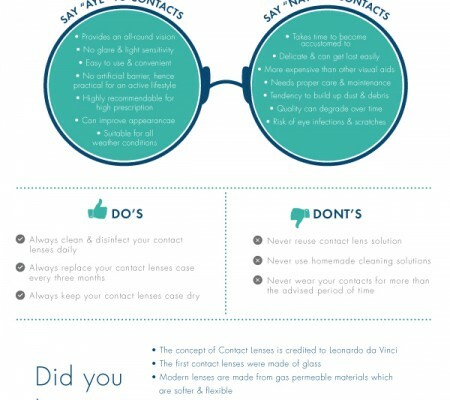 Cleaning and disinfecting your lenses can be complicated and inconvenient. You need good hand-eye coordination to clean, insert and remove the lenses. There is an increased risk of corneal infections, scratches and scrapes. Lenses can be easily damaged or lost. Some people can’t wear contact lenses comfortably. After going through the initial discomfort and expense of contact lenses, some people continue to find them uncomfortable or otherwise unsatisfactory. 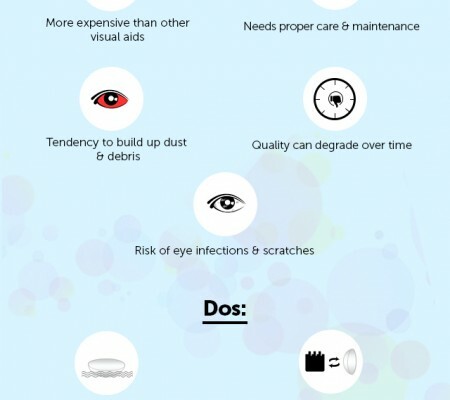 Wearing contact lenses can cost at least $150 per year, including the costs of cleaning and disinfecting solutions. People who have to replace their lenses or change prescriptions regularly may spend much more. The cost of the lenses varies according to the type of lens you wear. In some work areas, you will need to use protective eyewear if you wear contact lenses. Buildup of debris and degradation of quality over time. If you have been advised to wear some form of visual aid such as glasses or contact lenses, then the decision is usually a personal preference and lifestyle. Everyone is different with differing needs and requirements, so think carefully through the options. If you have picked contact lenses as an option, go through with a complete eye examination and fitting by an experienced professional. Follow-up examinations are important to monitor any changes to your vision and to update your prescription. If you are a regular contact lens wearer, consult your doctor annually for an eye examination and a contact lens evaluation.